In contact with the natural elements your boat is subject to important constraints requiring a regular maintenance. There are many steps to ensure a thorough cleaning. The boat protection wax is to be applied either in completion and in complement of a boat polishing or at the beginning of the season after an boat detailing. 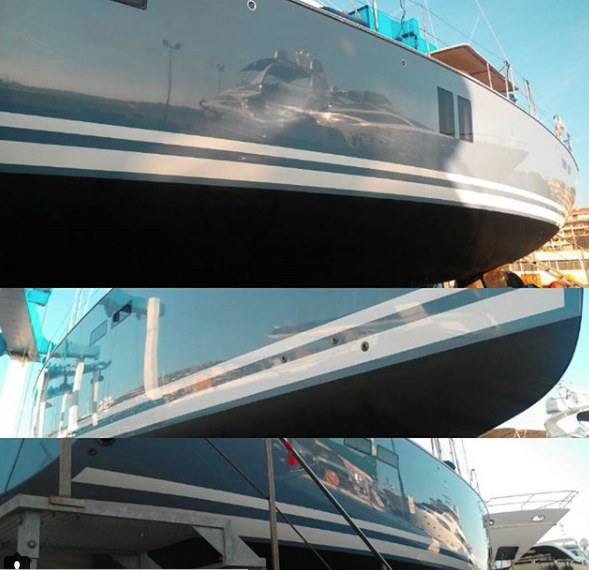 It is essential not to miss out on this step, Master Yacht Services offer you its expertise and advice so that your beautiful boat keeps its natural shine in all circumstances! The polish is only an intermediate step in cleaning your hull, finish with a complete finishing boat wax for your boat on the French Riviera in a very efficient way and improves your experience in the maintenance of your boat. Efforts to eliminate the oxidation and yellowing deserve additional protection doesn’t it? Neglecting this step exposes your hull more importantly and limits in time the effects of your cleaning and polishing which is a shame after all the time and effort spent polishing the boat. Adding an extra waxing step in addition to cleaning and polishing allows you to improve longevity and luster on the entire surface of your hull. It unifies the colors and shines for a flawless result that only wax can bring you. It protects the paint and gelcoat forming a protective screen against harmful sun rays. Applying a wax is not just about UV protection, as well as a perfect finish, it is the cherry on the cake to protect your hull! Indeed it protects the gelcoat, paints, plastics against aging and discoloration. -It is also water repellent, which makes future rinses and cleanings easier. It is an optimal protection of long duration coupled with a perfect shine. Put on gloves and mask and let’s go for it! Apply a protective wax to effectively complete your boat cleaning maintenance. OK so How to apply boat wax on my boat? Working on a dry hull is essential, after doing all the cleaning and polishing steps, you will need to apply your wax by hand with the help of a microfiber. 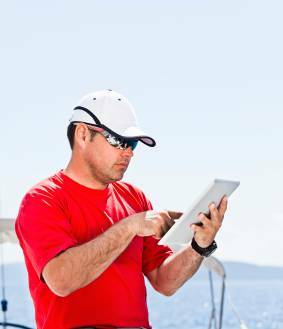 We can advise you but you can also contact a boat maintenance professional who has the right equipment and guarantees impeccable service to meet your requirements.